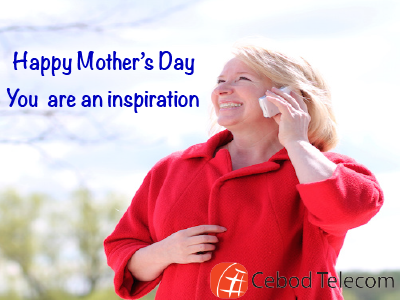 Remember to Call Mom on Mother's Day - Cebod Telecom "
Communication is the key to success for any relationship, whether it’s between a couple, friends, colleagues, or a parent and its child. Mother’s Day is a day to bond with that special person who always believed in you. Marion C. Garretty said, “Mother love is the fuel that enables a normal human being to do the impossible “. So why wait? Just pick up the phone, and call her. Voice has a power to deliver emotions, gratitude, and appreciation better than a face book message, twitter post or email. Happy Mother’s Day to all our team members, friends, clients and moms.